Start standing next to a chair (if you’d like to use it for stability). Shift 99% of your weight to your left foot. Your right foot will be slightly in front of the other, with only your toe touching the ground. 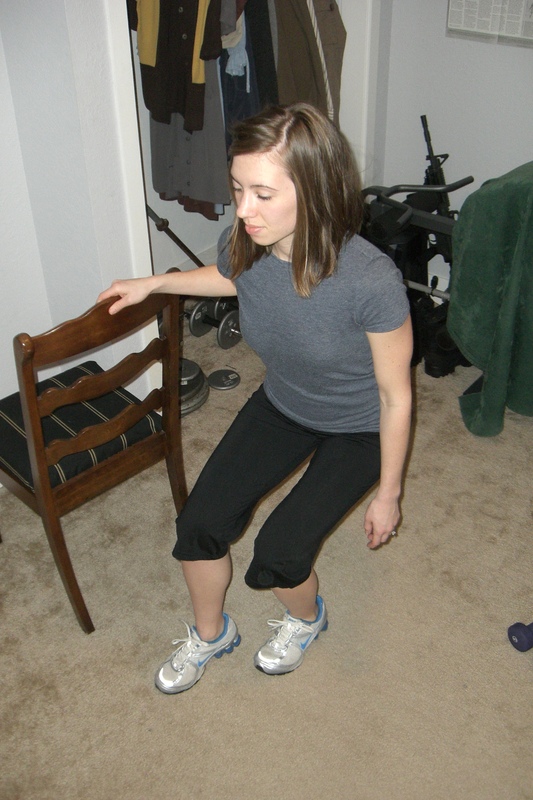 Slowly begin to bend your left knee, shifting your weight toward the floor. Make sure your knee does not go past your toe. Lower to 90 degrees, or as low as you can while maintaining your balance. Return to the starting position. Complete 3 sets of 12-16 reps on each leg, resting for 30 seconds in between each set.